It’s a new year and a great time to set resolutions from your home in 2019. We are excited to share our 7 New Year’s Resolutions for Your Home. Winter is our favorite time of year to get organized. It is time to declutter and create more space to enjoy in your home. Take a systematic approach to getting organized this year so that it isn’t overwhelming. Go room by room. You can then enjoy each space after its been cleaned out and is living at its best. Before you go shopping for more containers, shelves and storage, first clean out and assess your needs. Pass along anything you don’t need anymore to charity. Need more inspiration? Check out Roaring Fork Valley local Evan Zislis and get inspired to get organized. Reduce the carbon footprint of your home in 2019. The Community Office for Resource Efficiency is your resource for saving energy. From rebates and grants to home energy assessments and do-it-yourself tips, CORE has you covered. Start with an easy one – consuming less water. Did you know the average home consumes 400 gallons of water a day? Simple changes like low-flow shower heads go a long way towards conserving water. As does changing your consumption pattern such as taking a bath instead of a long shower to warm up on a cold winter day. Your home is a great place to learn new skills. Continuing education builds confidence, inspires and is great for your overall well being. Perhaps you don’t consider yourself handy around the house. In 2019, learn a new skill. Ask your neighbor to teach you how to mow the lawn. Turn to YouTube to learn how to clean the gutters or fix the sink. You’ll feel a great sense of accomplishment and you’ll save money. We live here, we give here. It’s one of our core values at The Property Shop. Volunteering in your community is a great way to give back and is part of our New Year’s Resolutions. Get involved in the Roaring Fork Community. Volunteer for a local non profit, help in the community garden. Or, simply take a walk around your neighborhood and pick up any trash you see. Did you know that an hour of mowing the lawn burns 300 calories? Or an hour of gardening burns 200 calories? Sometimes it is hard to fit in exercise during a busy work week alongside the to-dos of homeownership. The good news is that basic home maintenance such as lawn mowing, gardening, building a fence, and cleaning the gutters all help you maintain and build fitness. Improve the air quality in your home. Your home contains dust, mold spores, pollen, and viruses. Yikes! In winter, this can be worse because our doors and windows remain closed. Start improving your indoor air quality by replacing your furnace filters and having your HVAC system regularly maintained. Use low-VOC paints and cleaning products that are good for the environment and good for you. We are also lucky in Colorado to have the occasional warm winter day. Crack a window when the temperatures allow and enjoy a bit of fresh air in your home. Most homeowners are reactive when it comes to budgeting for their home. They pay for services and parts when something breaks. Instead, create a 2019 home maintenance budget. 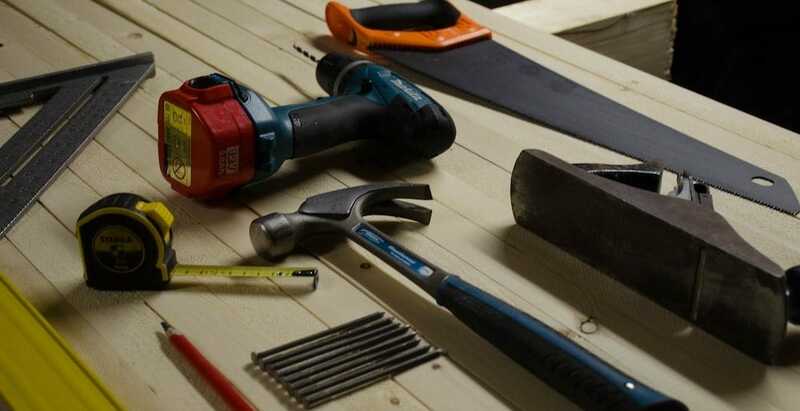 U.S. Census Bureau notes that average annual maintenance and home improvement expenditures are $3,300 for every home. Review your receipts from 2018 and forecast your home maintenance and improvement budget for 2019. Happy New Year! These are resolutions we can all keep to make ourselves and our homes healthier and happier. Make sure and call The Property Shop for all our real estate needs in 2019. Posted in: News, Property Shop Inc.